None of these environmental victories would be possible without the concern and dedicated action not only of governments, but of ordinary people. The choices we make in our own homes and our purchasing behavior really do make a difference. 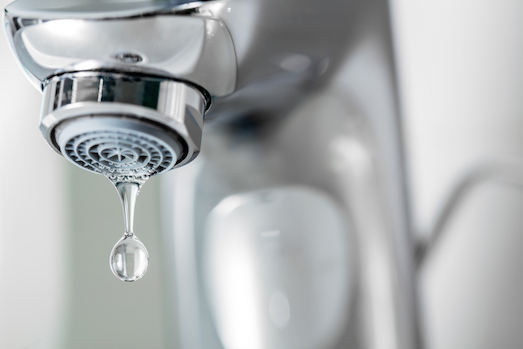 Saving water is one of the easiest things you can do to go green, and it saves money, too — by lowering your sewer and water bills. 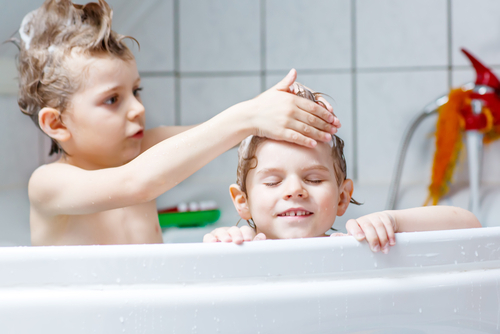 There are many ways to save water in a bathroom. Since toilets account for nearly 30 percent of an average home’s total water consumption, let’s start there. Green toilets are fast becoming standard in many areas. But don’t worry — “green” doesn’t refer to the color, but to the low-flow toilet technology that uses up to one-third of a gallon of less water per flush than the federally mandated standard. Installing a high-efficiency toilet could save you $2,200 over the lifetime of the unit. Another way to build a better toilet is to use only the amount of water that is needed per flush. This is true of dual-flush toilets, such as the TOTO Aqua II. These eco-friendly toilet units allow the user to select full flush for solids, or a light flush when less water is needed. 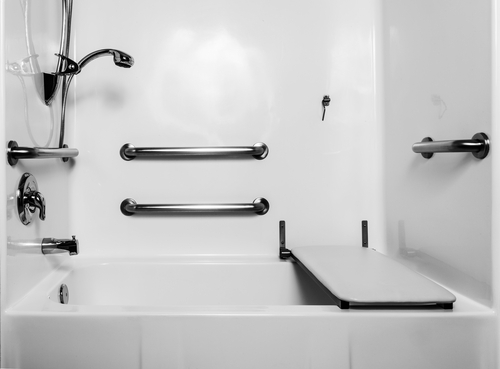 Installing a low-flow toilet is just one way to save water in the bathroom. Why not match your green toilet with an equally green sink? Again, this is no reference to color. We’ll address the sink bowl itself later, but for now, let’s talk water savings. One of the easiest ways to conserve water in your bathroom sink is by installing a high-efficiency bathroom sink faucet and/or aerator. These units are specially engineered to use less water to deliver a satisfying, high-pressure stream, so your family and guests will never realize they’re getting the job done with less. Water-smart bathtub faucets and water-saving showerheads are also readily available in many styles to suit any taste in bathroom décor. Want to take your water savings to the next level? Consider a motion-sensor faucet, such as TOTO’s line of EcoPower Sensor faucets. These run only when needed, and eliminate the possibility of someone accidentally leaving the water running — great for families with kids! When you save water, you’re also saving energy, since it takes electricity to pump water to your home. That’s a boon to your water provider, but your eco-friendly bathroom will let you save on your own electric bill, too. The easiest way to reduce your bathroom’s power consumption is to install energy-saving LED bulbs. Whether you have overhead bathroom light fixtures or vanity lamps, your LEDs will use 75 percent less electricity than standard incandescents, and last 25 times longer, too. Another must for your eco-friendly bathroom is an energy-efficient vent fan. Not only will it reduce your energy use, but a high-performing fan will discourage mold growth for a cleaner, healthier indoor environment. High-efficiency fans also typically last longer and operate more quietly than conventional ones. Finally, let’s consider the materials that go into building your bathroom. Eco-friendly vanities and sinks are made from sustainable materials. These can include recycled materials, sustainably harvested wood, and natural or organic materials. Whatever color you choose to paint your green bathroom, pay attention to the paint itself. These days it is easy to find low- or no-VOC, nontoxic paint. This will help keep your indoor air quality at acceptably healthy levels by reducing or eliminating off-gassing of volatile organic compounds. 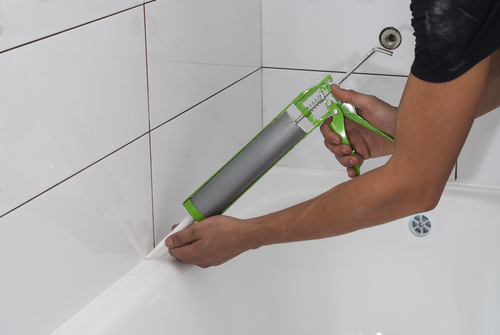 If you have to tear out walls or refinish woodwork for your bathroom remodel, be aware that homes built before 1978 are likely to contain lead-based paint. Remodeling can release highly toxic lead dust into your home. Be sure to follow lead safe procedures when doing remodel work on older homes; and if you hire a contractor, use an EPA-certified renovator. How Can Modern Bathroom Assist in Making Your Bathroom Eco-Friendly? Whether you are looking for the best water-saving toilet or the perfect eco-friendly sink to suit your taste and budget, we’re glad to assist. We stock dozens of environmentally friendly bathroom items in many styles — from economy to deluxe models. To find them, simply enter “Yes” in the search key under “eco-friendly” when searching for any of our bathroom products. If you ever have questions or need assistance in selecting the right green bathroom products for your needs, feel free to contact us here. We’re more than happy to help! Set your budget. 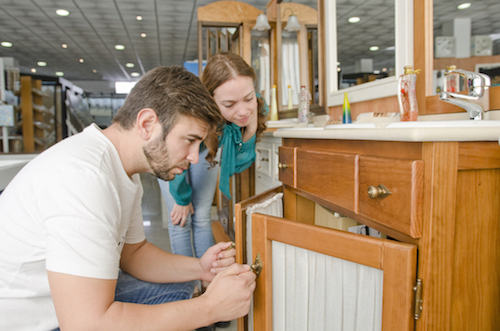 One of the biggest problems homeowners run into with remodeling projects is unexpected costs. Determine upfront how much you can afford to spend. Then, add an extra 10 to 15 percent, at least, to account for unexpected expenses that may arise. Shop around. Once you know your budget, you can start shopping contractor costs and/or features like popular bathroom sinks, faucets, tiles and other fixtures. Sticking to your intended cost limits, select the products that work for you — and use Modern Bathroom to find some of the best prices in the industry on everything from tubs to sinks! Get permits. Will you need building, electrical or plumbing permits for your project? Find out upfront and obtain whatever necessary. Schedule your tasks. Will you be remodeling from the ground up, or are you mainly changing a few small features? Whether you’re adding single-hole bathroom faucets or replacing tile, know exactly what you need to do, and schedule accordingly. Just like you budget financial costs, budget how much time your project should take. Take “before” photos. Right before work starts, be sure to take some photos to memorialize the way the bathroom looked. Afterward, when the project is done, you’ll love being able to compare. Do prep work. If you’re hiring a contractor, create a prep area for him or her by clearing space where tools and gear can go. Likewise, clean out the bathroom of all toiletries, grooming products, etc., and create a temporary replacement area for your household to use while work is underway. Communicate. If you have a contractor doing the work, connect often to see how things are going and find out about any hiccups that may be causing issues. Inspect the work. Regularly check in to see how the work is going and, if you spot any problems, address them before they can grow into bigger ones. Whether you’re managing the renovation yourself or hiring a contractor, following a renovation checklist can help you avoid typical problems. While the process may seem involved before and during work, the rewards after completion will make it all worthwhile. Make the most of your renovation project by following the above checklist of tasks! Likewise, to find the best prices on bathroom features, Modern Bathroom can help. Browse our website to find the perfect vanity, sink, faucet or something else for your bathroom.